Harvest of carrot! To see pushing beautiful carrots in your garden, take some orange and green lightweight felt. Cut triangles orange of the size(cutting) that you wish then sheets(leaves), couturez 2 bigger sides of every triangle together, fill with the absorbent cotton, inserez sheets(leaves) in the opening and to close. Here are fraiches carrots for my soup! What's up "felt" doc ? 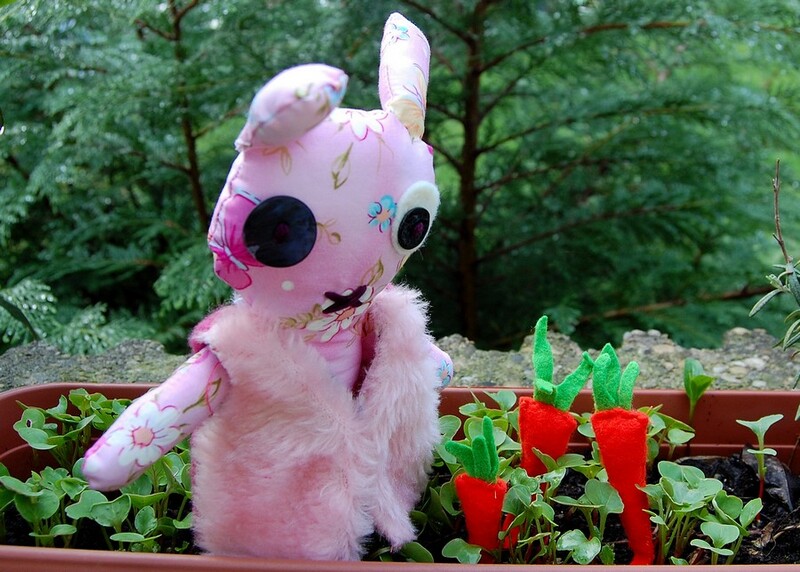 To see beautiful carrots growing in your garden, take some orange and green felt. Cut orange triangles of the size that you wish then green leaves shapes, sew the two bigger sides of every triangle together, fill with the batting wool, insert the leaves in the opening and close. Fresh carrots for my soup !